It’s Easter Sunday which of course means it’s the perfect time to sprawl out on the couch, eat your bodyweight in cheap chocolate, and watch a horror B-movie. Mega-Spider, Slither, Sharknado – the list goes on and on eternally. But if there’s one B-movie you need to watch this evening, it’s The Beaster Bunny. Think oversized animals, horrific puns, cliche dialogue, and way over the top acting and you’ve got The Beaster Bunny. A film that’s already been labeled ‘the greatest Easter horror film ever released’. A niche market admittedly. 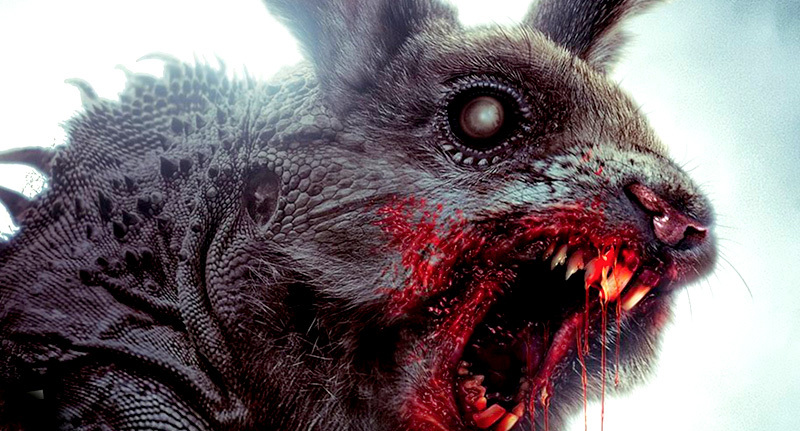 The synopsis is relatively simple: a giant bloodthirsty bunny stars carrying out massacres in a small village in the U.S. and when the Mayor refuses to do anything about it, people take it into their own hands. But the execution is golden and to be fair, it’s got about as much to do with the resurrection of Christ as Easter Eggs do. Unfortunately I’m working this Easter, but I know for sure that when I get home I’ll be cracking open an icy beer and whacking The Beaster Bunny on the TV. Why not spend your Easter watching a grisly horror film with the ones you love. It’s what Easters all about.